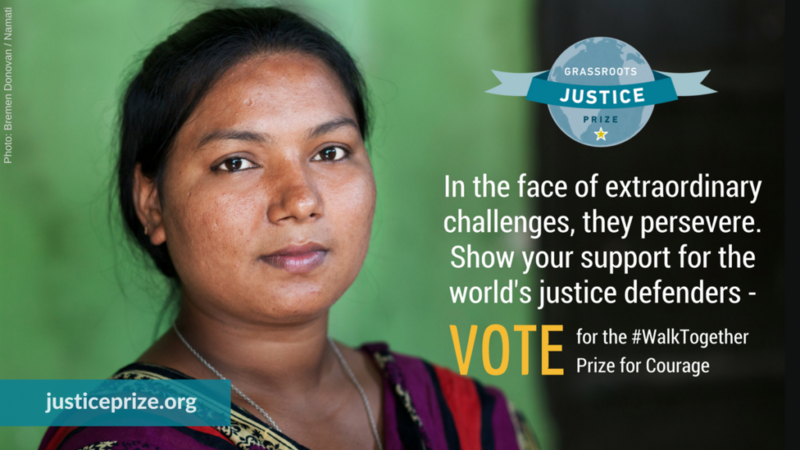 In November, we launched the second biennial Grassroots Justice Prize competition — the only global competition to recognize the unsung heroes of the legal empowerment movement. Now it is up to you to determine the winner. We have narrowed down the candidates for the competition’s #WalkTogether Prize for Courage to ten organizations that help people to know, use, or shape the law. From defending LGBTI rights in the DRC to advocating for migrant workers’ rights in Kuwait, each of them is courageously pursuing justice in the face of extraordinary challenges. The candidate who receives the most votes will receive $10,000 and will be honored at a ceremony, alongside the competition’s two other awardees. Throughout the year, the Global Legal Empowerment Network and our prize partner The Elders will champion the winners’ stories, ideas, and issues on the global stage. Help us celebrate these courageous justice defenders. Explore their inspiring stories and cast a vote for your favorite by January 21, 2018.